We all knew Nelson Mandela was a lot of things — a nobel laureate, statesman and first black president of South Africa to name just a few — but apparently one station knew something the rest of the world didn’t — he also moonlighted as Alex Rodriguez on the Yankees. Well, not really, of course, but that’s what a lower third banner at WDIV-TV in Detroit would have you believe. 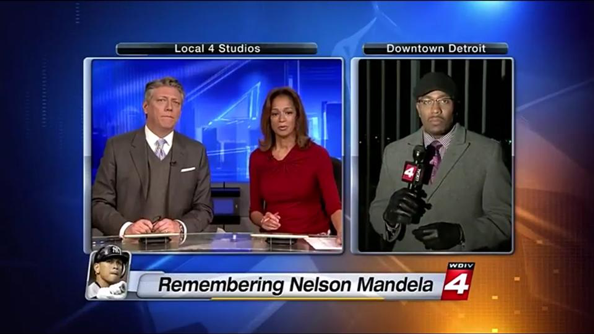 During its coverage of Mandela’s death, the Post-Newsweek station in the market, aired a lower third that declared “Remembering Nelson Mandela” with a photo of Yankees third baseman Alex Rodriguez (“A-Rod”) in the lower left corner.